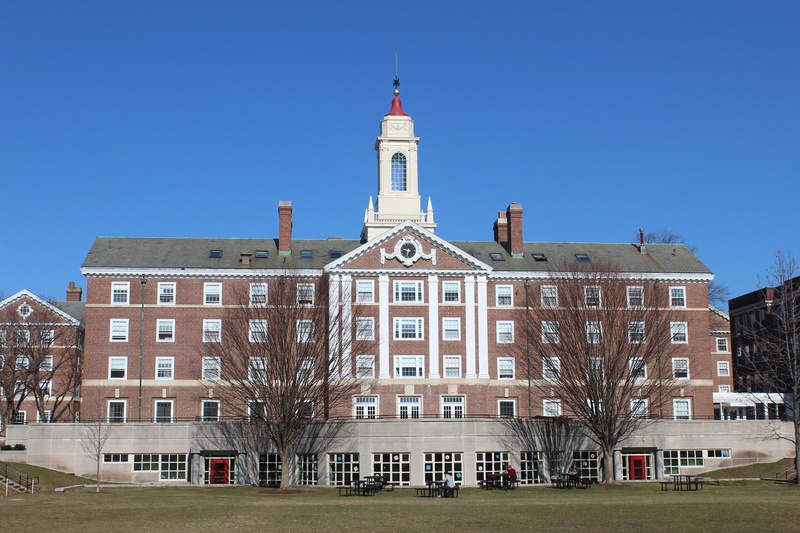 Harvard University Police Department officers arrested and charged a College sophomore with disorderly conduct, assault and battery, and assault and battery on a police officer after a violent altercation in and near Pforzheimer House late Saturday night. The student, James L. Walkingstick ’21, was allegedly “highly intoxicated” when he knocked on the door of Pforzheimer resident tutor Erik C. Nook, according to the police report. Walkingstick then allegedly choked and punched Nook, who then called HUPD, the report states. One of the responding officers, Mark J. Donahue, wrote in the report that Walkingstick attacked him and another HUPD officer, James Leahy, Jr., after they tried to speak with Walkingstick. The officers arrested Walkingstick, who was subsequently transported to Mount Auburn Hospital to undergo evaluation, according to the report. Walkingstick disputed some of the language and narrative in the report in an emailed statement to The Crimson, and wrote that he originally intended to seek help from Nook. Walkingstick wrote that the charges against him were “addressed and resolved” and that he has been in communication with Harvard officials to determine the next steps. Whether Walkingstick will face further disciplinary action remains unclear. Though Walkingstick wrote that the charges were resolved, a hearing on the case is scheduled for May 8 at the Cambridge District Court. College spokesperson Rachael Dane declined to comment on behalf of Harvard, Nook, and the College administrators who were first notified of the arrest. She cited the College’s policy of not commenting on individual students. HUPD Spokesperson Steven G. Catalano also declined to comment, referring to the department’s policy not to comment on pending cases. The police report states Nook told HUPD that Walkingstick banged on his door Saturday night. After he opened the door, Walkingstick “choked him around his neck and also punched him.” A recording of Nook’s call with a HUPD dispatcher includes clear audio of Nook yelling and violently struggling with Walkingstick, according to the police report. Walkingstick wrote that he had “no relationship with Mr. Nook, rather than knowing him to be a tutor,” in his email to The Crimson. Nook told HUPD officers that he was “familiar” with Walkingstick, according to the police report. The report does not detail what happened immediately after the altercation in Pforzheimer. Donahue and Leahy later received a report of a “male bleeding” near Pforzheimer and located Walkingstick on Linnaean Street with “fresh red abrasions on the cheekbone and jaw of his face,” according to the report. Walkingstick walked toward the officers, who noted that he was intoxicated and tried to speak with him. Walkingstick then immediately attacked the two officers, who wrestled him to the ground and contained him while he continued to fight, according to the report. Moments later, HUPD Sergeant James Pignone arrived on the scene and helped handcuff Walkingstick, who was then arrested and medically transported. Leahy and Donahue filed additional reports stating they sustained minor injuries after falling to the ground in their altercation with Walkingstick. Pignone verified Leahy’s injuries in a separate report and wrote that he believes the payment of worker’s compensation for the injuries would be appropriate if requested. —Staff writer Delano R. Franklin can be reached at delano.franklin@thecrimson.com. Follow him on Twitter at @delanofranklin_. —Staff writer Ema R. Schumer can be reached at ema.schumer@thecrimson.com. Follow her on Twitter at @emaschumer.